Self-healing needs to be of primary importance for any Reiki practitioner. Many times it is tempting to put this practice aside, or never start it, with the intention of only healing others. In particular, there can be a belief that the gift of healing is meant to be shared and that you are being a good person by doing that. While sharing healing may be a worthy goal for some, it is even more important that you do your own healing work. It is also perfectly acceptable to learn Reiki for your own self-healing and nothing more. When we heal ourselves, we automatically show others the way. We also make the world a slightly better place by reducing the level of distress, unrest, and feelings of separation in the world. What affects one of us, affects us all. Each person that heals, heals the collective consciousness a little more. We are all connected, and it is clear that we affect our immediate environment in straightforward ways. Our energy and well-being—for better or worse—is like a little wave that echoes across the world, touching each person as it ripples outward. There is little we can do for others until we heal ourselves, or at least begin to do the work in earnest. That can sound harsh to those who are eager to begin the work for other people. If this is you, I would encourage you to take a look at the reasons behind your hurry in sharing Reiki with others before offering Reiki to yourself regularly and doing your own inner work. Is there something you are avoiding? Are you driven by guilt or limiting beliefs? Do you feel that you are unworthy of healing? Do you feel driven to stop the pain of others, perhaps because it hurts you, too? Or is it something else? Many healers identify as empaths. That is often what draws them to the path of Reiki, and is sometimes what makes them afraid to practice. Yet, our own healing can often bring about some insight that helps reduce the difficulties that come with being an empath. This can be deeply healing to empaths, who often struggle to cope with ordinary life, feeling overwhelmed and overstimulated. Empaths often run on an underlying program of entanglement and guilt, accompanied by a belief that their needs aren’t as important as those of others. Those programs can run very deep. Empaths can take guilt and shame feelings extremely seriously, often either acting out of them or acting to avoid them. Tending to your own healing can begin to help release these and help to develop a healthy sense of boundaries and compassion. This can make life much more enjoyable and relationships more pleasant. Should you decide to share healing with others, it will help you to do so without feeling drained and depleted. Doing your own healing is allowing Reiki to help you find balance and your own truth. 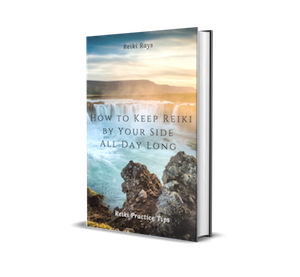 It is working with the Reiki principles and meditation to let your mind settle and sift through your inner world and find what is best for you. When you have your own balance and sense of truth, there is less need to seek it outside yourself. Healing requires hope, but it is much more that simply hoping. There is work to do in healing. Each person has their own inner work to be done. That work will be difficult at times, but very rewarding. While it is a wonderful thing to share Reiki and healing with others, consider how necessary it is that you embark on the work of healing yourself first. Should you decide to share healing with others, you will be a stronger healer and you will always know how to fill your own cup. Either way, you will be a stronger person. Thank you for your lovely comment. Blessings. Hello. I generally run short of time. Is it possible to do self healing in parts as per the time availability instead of doing the entire practice for minimum one hour or so. Hello Ash Sgr. I thought I will jump in and give my opinion here. Yes it is okay to do self healing in parts. I don’t see why not! Yes! Absolutely! Give yourself Reiki for any amount of time you have. It doesn’t have to be an hour. Even 5 minutes is very helpful. I usually get in about 10 minutes most mornings, along with 20-40 minutes of meditation. I make sure to get up early to have enough time. But you can do it in whatever way works for you. Simplify! It doesn’t have to be complicated. That’s the beauty of Reiki! I have many times heard it said, “physician, heal thyself. ” I have several views about this statement. While Reiki, in itself, cannot cause harm, we can harm others by bringing our own issues and anxieties into their healing space. We can hurt people with our hurts. When I offer Reiki to another, I do so with the knowledge that I am continually evolving, continually growing, continually healing. The absence of symptoms does not mean that the work on self can cease. While I love receiving Reiki, many of my most powerful treatments were self treatments. My desire is to continue to make healthier choices for myself so that Reiki can move through me with greater ease. What a gift it is to be able time to share this gift with others. ..and with self. Wonderful insight. Thank you for sharing that. Blessings to you. Hi, I am a nurse and since 2008 I started to practice Reiki for my self or friends only. After I became a Master in 2011, have notice that some of my patients connected with me and healed themselves. It was a telepathically communication between us and they just recharged their energy levels and moved on. I really enjoy this form of healing & the distance healing also. That is awesome, Luminita! Thank you so much for sharing. Have an amazing day as you continue to bless others. Thank you, Luminita. 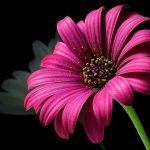 When we work on our own healing, we are very clear channels for healing and that shows others how to do the same, even if they aren’t aware of it. Angie, what a fabulous article. Thanks for taking the time to write and share this. Most of us (reiki practitioners) are on the path of the wounded healer, we cannot give from an empty cup. Reiki is a way of life not just the healing practice of others. Blessings! 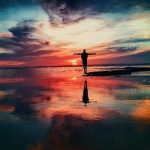 I just read this article and it made me want to go back to my self-healing practice. Thank you for this! Wonderful article 🙂 Namaste! And I would like to share in my blog, can I?